The Dance of Life with Jenna: One Hundred Pennies! I was just notified by PayPal I have received my first donation for my ministry trip to Germany--one dollar. Another way to look at it is one hundred pennies. My first donation--whoohoo! I'm excited. I do not "despise the day of small beginnings." (See Zechariah 4:10) If all of my 774 friends on Facebook each donated 100 pennies, that would be $774.00 and that is a lot of money. Wouldn't that be something? Every little bit helps. I'm thankful for every bit of support in any form. 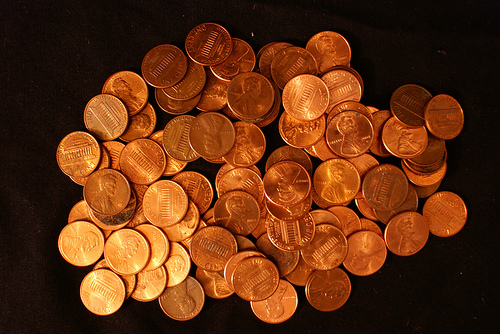 These pennies are like seeds being sown towards an awesome harvest.